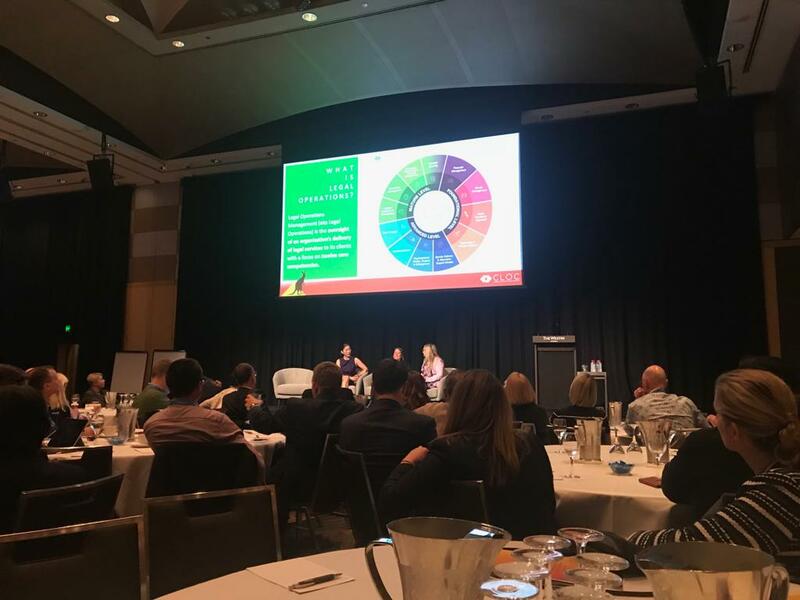 The inaugural Australia CLOC Institute, held in August in Sydney, was an epic kick off to the Australian CLOC journey. The one-and-a-half-day conference covered all things Legal Operations related, from the general “what is legal operations” to more in-depth sessions on “legal department dashboards”. Most of the presenters were CLOC originals, including Connie Brenton, Senior Director of Legal Operations at NetApp (the founder of CLOC), Mary O’Carrol, Head of Legal Operations, Technology and Strategy at Google, Christine Coats, Vice President of Legal Operations at Oracle and also the founder of the Australian CLOC chapter, Mick Sheehy, previously General Counsel at Telstra – too many to mention and the full list can be found here. All of the speakers had a wealth of experience and had certainly offered a lot of success stories to the room. It was however evident that Australia is still only at the beginning of its Legal Operations journey. There is certainly a lot of interest from various legal teams, some law firms and many service providers, but the talk was all very new with most still figuring out how and what to do. As such, it was easy to feel overwhelmed with the abundance of information and success stories. Managing change - communication to rest of the business is key – engage them in the process and if possible... try make it their idea! Important to have your General Counsel or CEO on your side, always! Use Alternative forms of Legal Service Providers to support your journey – whether tech based or legal management consultants - you are not alone! I am sure the conference gave all who attended a lot of food for thought. Luckily, we have a year to digest and put plans into action until the next CLOC Australia Institute (already locked in!). There is no doubt that it will be exciting to see how far everyone has come in their journey at next year's conference! In the meantime, if you’re in London in at the end of January and interested in the Legal Operations space, I would highly recommend attending the conference. For more information on starting your Legal Operations journey, reach out to Bill Novomisle. Managing Consultant, Process and Technology at KorumLegal.